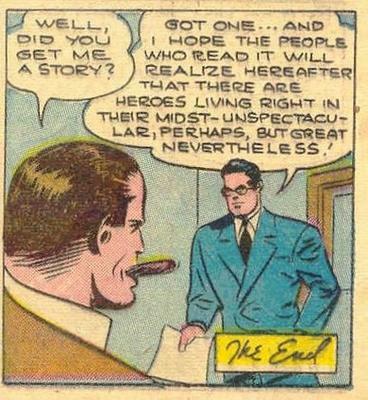 It's because they have stories about heroes without the "warts and all" treatment that we have come to expect in the modern era. 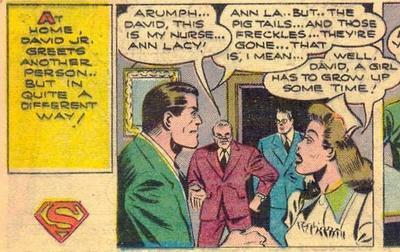 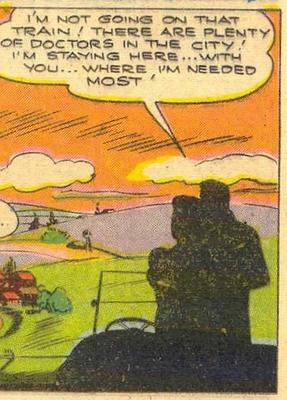 A friend of mine recently scanned in his copy of Superman #33, from March 1945. 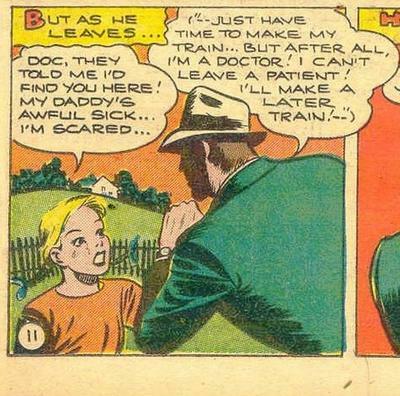 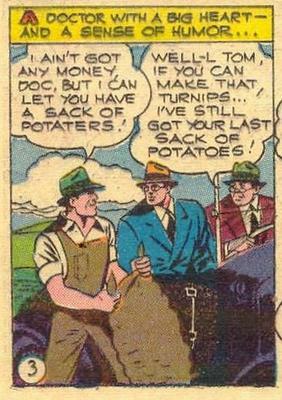 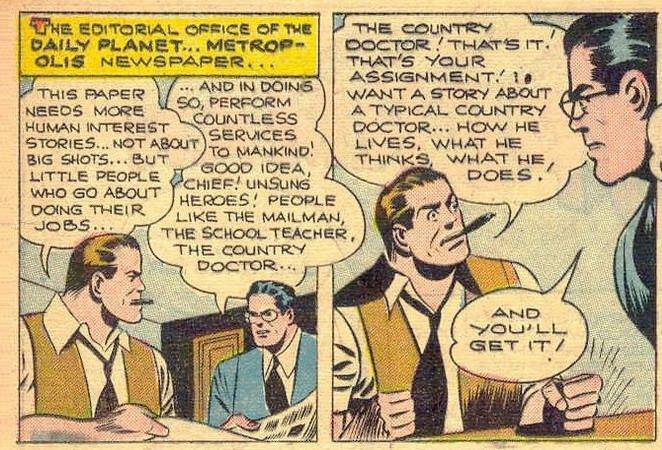 The second story in that issue is "The Country Doctor", and while it's pure schmaltz along the lines of "It's a Wonderful Life", it's still a terrific celebration of heroes.